We are out of eclipse glasses and will not be getting any more glasses due to supply limitations. A few more may become available if pre-orders are canceled or not picked up. If you had sent us an e-mail requesting glasses, you should have received an e-mail directing you to where you can place your order to pay for the pre-ordered glasses. On August 21, 2017, a total solar eclipse will cross the contintental United States, starting in Oregon and racing all the way across the country to South Carolina. You can find full details about the eclipse and its path on this NASA Eclipse website. While it's possible to observe the solar corona with your naked eyes during totality, viewing the sun at any other time without protective eyewear can cause serious damage. These glasses provide the protection needed in order safely view the sun during the eclipse (or any other time if you just want to watch for sunspots). 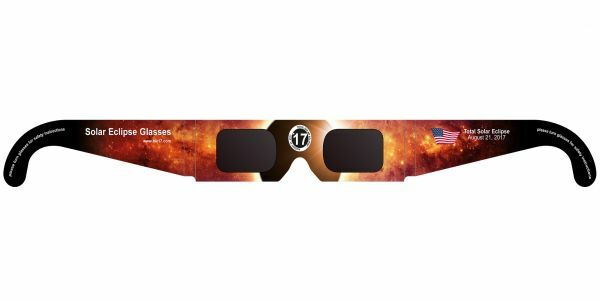 The glasses have a commemorative 2017 pattern as well as instructions printed on them for safe solar viewing. Each pair of glasses is only $2.00. (Note: you may have seen these mentioned at $1.00 a pair but due to supply limitations, the price has now gone up.) We provide free shipping on orders of 10 or more. Otherwise, there is a flat $3.00 shipping and handling fee for smaller orders. The glasses are mailed by normal First Class mail in the United States only and typically arrive in 2-4 days after we mail them. The eclipse glasses are out of stock. Permalink Submitted by MikaylaKenyon on Mon, 09/24/2018 - 12:49. A list of the product is launched and released for the fulfillment of the gaps of the social life. It has been identified for the mode of the product buyer and uk essay tigers in the site of the internet for the customers and all buyers of different sorts.